Hang your hat anywhere, but don’t buy a rig ’til you’ve read our Remote Hats Roundup! Remote Hi Hat stands are mostly used and marketed for open handed playing or rapid switching between hats and ride. 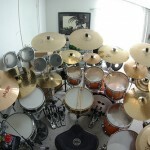 There is however another use that appeals to us Compact Drummers. -The ability to reduce our kit’s footprint! Most if not all Remote rigs are costly and have a lot of moving parts. Researching the options is of paramount importance before springing for any of the available products. Start with narrowing your list down with the aid of this Remote Hats Roundup. Please note; All prices are in US$. All descriptions are per the manufacturers. 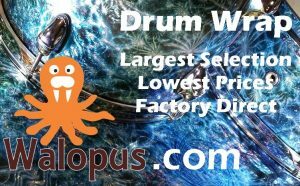 Another great source of information are the various drum forums. Find the best ones in our Links section. 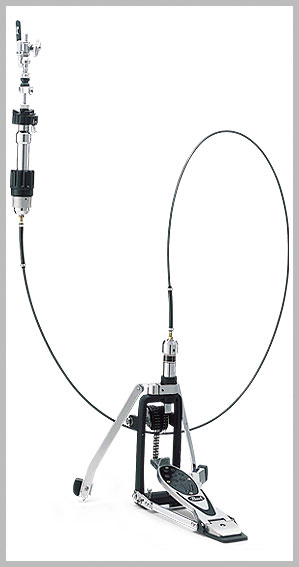 9502LB Remote Cable Hi Hat – Our cable hi-hat systems have long been known as the most smooth and responsive in the industry. It’s no secret that a higher quality cable yields a better remote hat, but our latest detachable linkage and sturdy, low profile housing have really taken this hi-tech hi-hat to a whole new level. The standard 9000 Series model comes with an 8’ foot cable, with 2, 4, 6 and 10’ cables sold separately. Also included are MG1/MG2 mounting hardware and a free nylon carrying bag. Whether you’re detaching your cable for transport, or swapping it out for a different length, our unique Hex Bolt Fitting makes cable removal quick and easy. 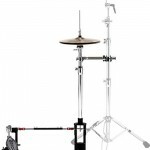 9550 Remote Universal Hi Hat – The 9550 Universal Hi-Hat System represents the latest advancement in hi-hat technology. 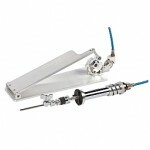 Using DW’s Universal Linkage Assembly, the 9550 achieves lightning-fast response and a smooth, effortless feel. 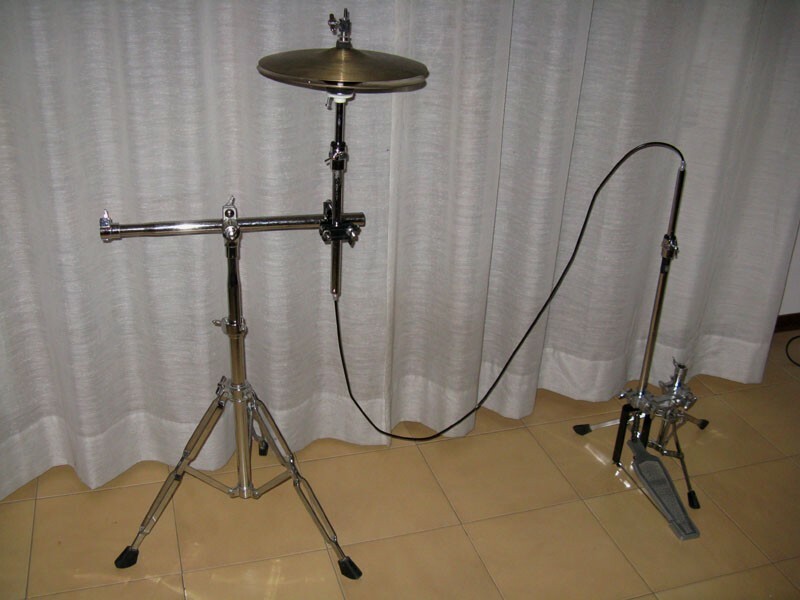 It can be placed on either side of the kit, making it a multi-position primary hi-hat or a versatile auxiliary hi-hat for secondary hat sounds and effects cymbals. 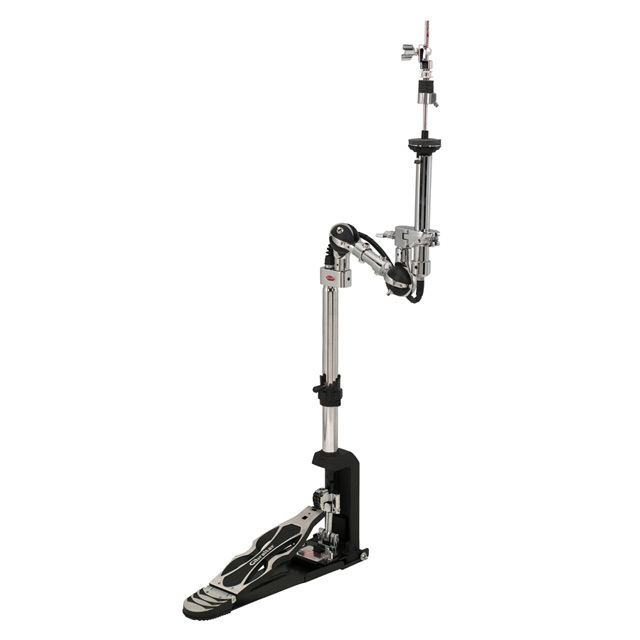 All of the heavy-duty features associated with the 9000 Series line of hardware, like heavy gauge steel tubing, integrated vise memory lock and lateral cymbal seat adjustment, are standard. 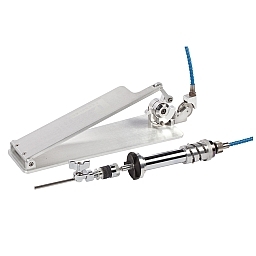 The 9550 comes complete with auxiliary pedal, MG1 and MG2 mounting clamps and Universal Linkage with two extension options. 9707NL-UA Ultra Adjust No Leg – Gibraltar has added a new height adjustment function into the Ultra Adjust mechanism. 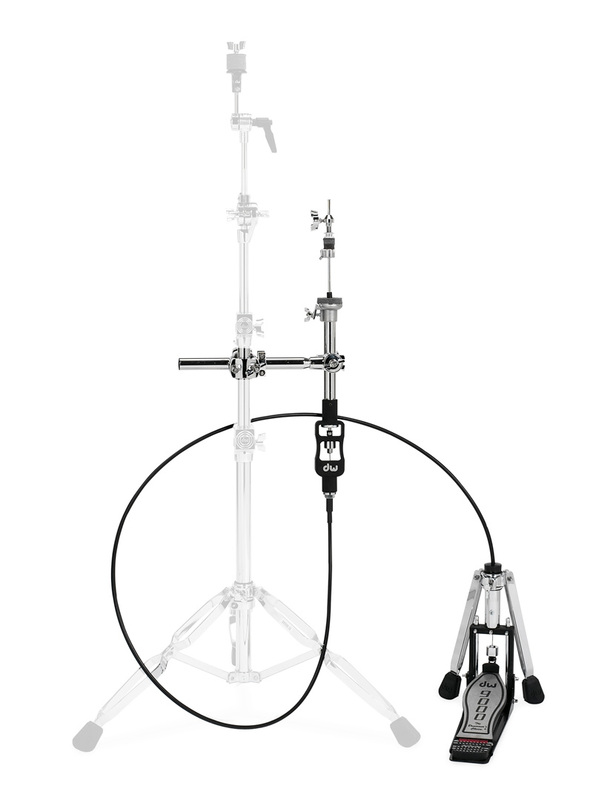 Now you can get tripod / cymbal displacement and adjust the height of your cymbals all out of one stand. 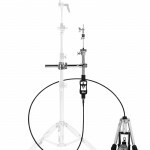 The top half of the stand features a gooseneck with ball socket hinges at both joints, allowing you to move the hi hats to any angle, out of the way of other instruments. The stand also has a height adjustment from 32″ to 38″. 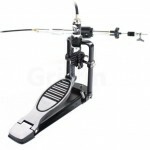 The liquid drive gives you a completely balanced pedal feel and the tension is adjustable to fit your personal style. Remote Hi-Hat Stand – With its sturdy, all-metal construction, the hi-hat remote stand includes a drum key and lockable hi-hat clutch with cymbal felts, and also features a stable double spine weighted pedal plates for a sturdy, flat-footed kick, and a fully adjustable power cam system to accelerate the tension of the pedal. The double locking spring tension rod knob on this hi-hat remote pedal includes five different settings (numbered 0 to 4) and guarantees your personal tension settings never change while playing. In addition, the foot stop prevents your foot from slipping forward while the adjustable floor spikes on the feet prevent slipping during your sets. The hihat cymbal remote stand’s frictionless bearing hinge enhances the smooth drum pedal action. RH-2000 – The RH-2000 combines the H-2000 Eliminator Hi-hat’s Posi-Link Twin Cam drive system with a third-generation low-friction cable to produce the smoothest, lightning-fast, natural feeling remote hat in the world. 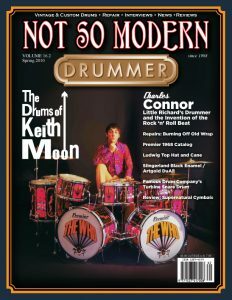 Take it from Dennis Chambers, “The RH-2000 Remote-Hi-Hat stand surprised me, on the fact that it is a remote hi hat; it felt like I was playing my normal hi hat stand. I could not believe how it felt, there was no sticking or sluggish response about this remote stand. 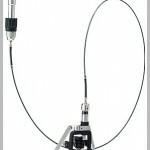 Predator Remote Hi Hat – Trick’s Predator Remote Hi-Hat is what’s next in the evolution of cable driven hi-hats. 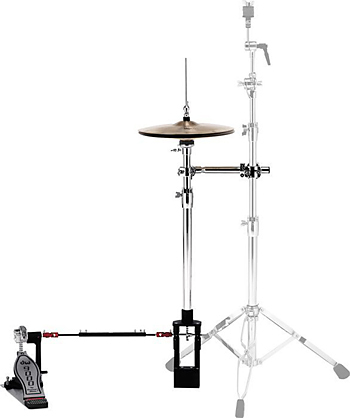 The Predator was designed to allow drummers to place remote hi-hat cymbals in the most convenient and comfortable playing position without sacrificing performance or feel. 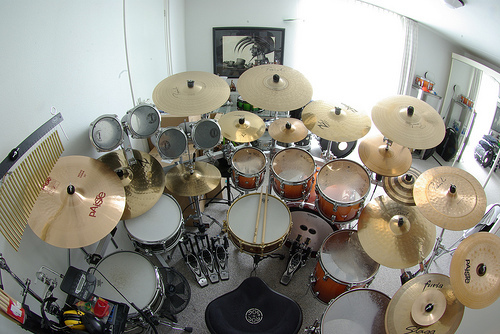 The issue with other brands of remote hi-hats is that they noticeably dampen and slow the cymbals’ rebound. Trick has all but eliminated that sluggish, dampened feel with our unique and patent-pending design. With never-before-seen cable-adjustment capabilities, the Predator lets the user align the cable for the most direct route to the cymbals—thus eliminating curves and bends which is what dampens and slows the device. 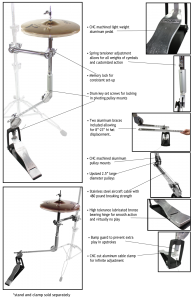 Comprehensive Market Guide of all Remote Hi Hat rigs and stands. Find List and Street Prices, Specs and Features in our Remote Hats Roundup.